Saving Energy when Living in an Apartment - Baby Doodah! Thank you to Direct Energy for sponsoring today’s post and helping to support my family. 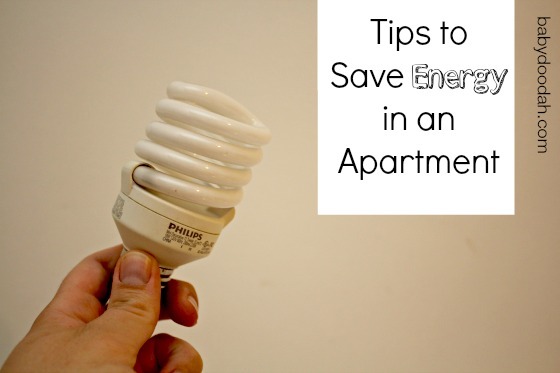 When you live in an apartment, you might think that it’s difficult to save money on your energy bills. You don’t always have control over things that can save you money. By default, your apartment may come with older appliances, if you don’t own the place, it can be difficult to have those removed and replaced with your own newer Energy Star options. However, today I’m going to share some ways that you CAN save money, even when living in an apartment. Turn the lights off when you leave a room. This one is kind of a given, and probably something you’ve heard for as long as you’ve been old enough to turn off lights, but it’s effective. Less lights that you leave on, the less electricity you’re using, thereby leading to more energy saved. If you’re leaving a room, just flick the switch. Change the type of light bulbs that you use. One thing you can change is the type of bulb you use in all of your lights. My advice is if you’re not currently using Energy Star light bulbs, you run out and grab some and switch all your lights out. It will save you money and even better, they last longer! Unplug power cords. Here’s another easy one, but one that can lead to a pretty big chunk of power usage – all of those power cords and battery packs that you leave plugged in when not in use, burn about 15% of the energy that’s flowing into your house. After you’re done charging your phone, unplug the cord and put it to the side. Do yourself a favor and lower your electric bill! Skip the bath. Look, I love baths as much as the next guy, but they use a TON of water. Keep the baths to a minimum and just take quick showers instead of a daily bath. Cover your windows with plastic. Trust me, I know. I resisted this, too. It just doesn’t have the same lovely appeal that a fresh, clear window does BUT it will keep the heat in AND your energy bills down. This is especially useful when you live in an older home with really drafty windows. Remember, your whole goal is to keep saving energy. Use a draft stopper. I think if you were to stand by someone’s door in the winter time, the draftiest and coldest part would be down at the bottom. All that cold air is getting in and your precious warm air is going out, stop this from happening by using a draft stopper. You can find some cute ones all over the place. There you have it, my top tips on saving energy. There are some really easy and practical fixes that you can put into effect TODAY! In the meantime, if you’d like to win a Nest Learning Thermostat, Direct Energy is giving 5 systems away. Direct Energy is committed to helping their customers build a smarter home, and thus cut down on their energy usage – which can save you, the customer, time and make your lives easier. Currently they’re offering the opportunity for anyone to learn more about creating a smarter home by visiting their Facebook page, or exploring their Comfort and Control Plans. 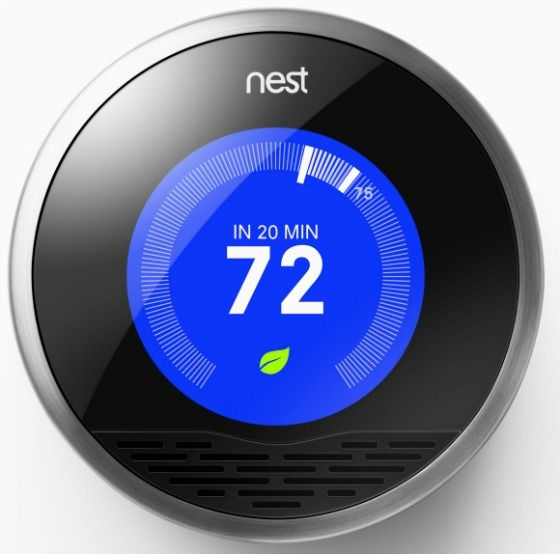 Their Comfort and Control Plans, 24 or 36 month plans offer fixed rate price stability, and a Nest Learning Thermostat (a $249 value) at no cost to you. AND, they’re giving one of these away – all you need to do is CLICK HERE, fill out the information and then enter to win. What ways do you try to save energy? Share in the comment below, whether you live in an apartment or in a home.